An immediate, sharp tooth pain when you bite down, bleeding gums when you brush, loss of the secondary teeth — these usual dental problems could be your mouth’s way of telling you something’s not right. The following are 5 oral health troubles translated and steps you can take to return your healthy and beautiful smile. My Dentist Burbank is dedicated to educating our patients about their dental health, so they are able to make healthy choices. The color of teeth in each person is individual. 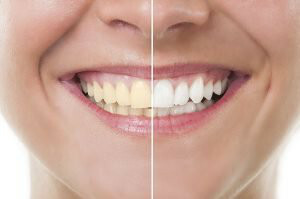 For some, white shade is the norm, for some – a little milky shade is the normal color of the teeth. Full discoloration of the tooth depends on the color and transparency of the outer layers (enamel), and the color of the layer under the enamel. It compares to the yellow enamel and in varying degrees, is manifested through the surface. Based on various influences, the color may change. The spot on the enamel can be caused by pigments of various drinks, snacks, and habits. Especially tea, coffee, red wine, smoking, yellow spice or other highly colored products are known for causing spots on teeth. Such pigmentation can be removed mechanically since they are on the surface of the enamel. Discoloration, which is more durable and can be found in the deeper layers of enamel, cannot be eliminated with this treatment. To preserve the color of the remaining teeth, you need to properly care for your teeth and regularly remove plaque. If there is a plaque on the teeth, the teeth are dull and strong and are much more susceptible to another relocation of other pigments. Teeth discoloration, both congenital and affected in early childhood, is stored in the deep layer of enamel and can only be resolved by bleaching the teeth. Even if it does not work, another solution is an aesthetic correction of the dentist (Fillings, veneers, crowns, dental implants). If you begin to notice that your teeth are becoming crooked or loose, this could be a sign that you are suffering from an advanced case of the periodontal disease. Periodontal disease is an inflammation that is caused by bacteria and permanently harms the oral cavity. At the initial stage, it is almost imperceptible. It is characterized by bleeding and slight itching of the gums, which is especially affected by the mechanical damage. A prerequisite for the development of periodontal disease is that the immune system reacts to bacteria. However, the prevention of tooth reeling is possible, as it is usually an infectious process. Preventive measures: regular visits to the Burbank dentist, professional cleaning of the teeth – are important aspects in maintaining the health of the tooth and not losing secondary teeth. At the stages of progressive, acute periodontitis, simple hygiene measures and medications are no longer sufficient. In this case, surgical intervention is recommended. If you don’t see a dentist in time, tooth loss may occur, then dental implantation will be necessary. Mouth sores can occur as a result of the development of a separate independent disease of the oral mucosa. Sores in the mouth generally result from eating too much citrus, as well as from vitamin deficiencies, stress, hormones, or injuries caused by sharp or hot foods. The appearance of sores in the oral mucosa of a person is usually accompanied by pain. It causes discomfort during eating or talking. But many people, despite these symptoms, prefer not to seek help from a dentist. 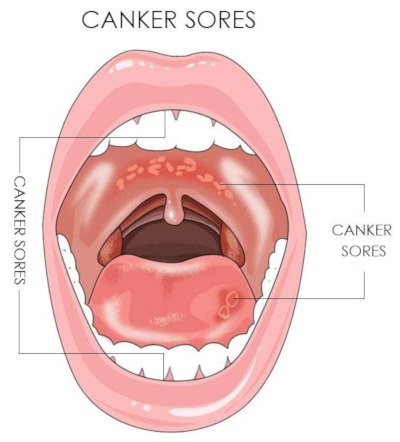 The presence of any sores and lesions covering the mouth indicate health problems in an adult or child. This situation should not be allowed to take its course, you should contact your dentist for help. Only the dentist will be able to diagnose the disease and prescribe the appropriate treatment. 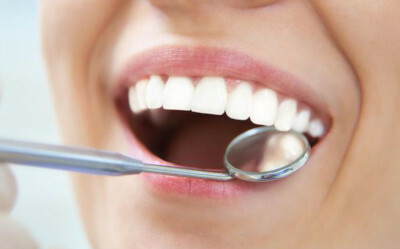 If you are worried about sores in your mouth, then you can contact our dental office at My Dentist Burbank. Our dentists will help you to cope with the situation and make every effort to quickly cure the disease. Pain that occurs several days could be a result of cavities or tooth decay. The cavity is a local pathological process in which demineralization and softening of the hard tissues of a tooth occur with the subsequent formation of a defect. At the initial stage, the cavity develops asymptomatically – without symptoms. Cavity destroys the tissues of the tooth until sensitivity to mechanical, thermal or chemical effects appears. Such a pain can be felt if you drink a glass of cold sour juice. Due to the fact that cavity in the initial stages is not noticeable and the patient does not feel any anxiety, there is a danger of damaging a large number of teeth in a short period of time. 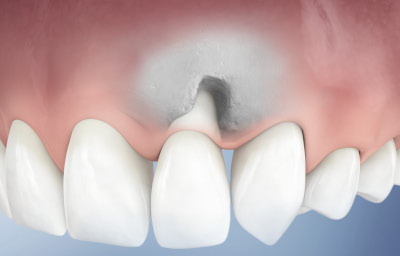 The initial stage cavity, without treatment, go into a deep cavity. Pain from chemical or thermal irritants. After eliminating the cause of the irritation, the pain slowly disappears. If caries is not treated in time, after a certain time the pulp of the tooth (nerve) will be involved in the inflammatory process. If the tooth nerve gets involved then you need a more complicated procedure – a root canal. Cracks in the corners of the lips bring a lot of inconveniences. It is not just the aesthetic side of the issue. In general, this is a rather tricky problem, which is almost impossible to get rid of at once. Cracks and cuts that appear in the corners of your mouth are caused by a different condition. The name for this condition is angular cheilitis. Angular cheilitis is a disease of the mucous membrane of the corners of the mouth. 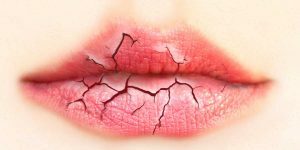 Angular cheilitis develops against the background of small cracks in the corners of the mouth, which, after frequent licking of the lips, wetting them with saliva, become infected with disease-causing bacteria. wounds with whitish or grayish bloom, etc. Sometimes, the corners of the lips bleed. Almost always cracks are accompanied by pain and other unpleasant sensations, such as itching. External, associated with adverse effects on the skin of weather factors, irritating foods, etc. Internal, due to various diseases. The cracks cause skin damage and increase the likelihood of infection in the wound. Microbes support inflammation and prevent the rapid healing of wounds in the corners of the mouth. The reproduction of bacteria leads to the formation of pus, plaque in the wound. If you have cracs or other sores at the sides of your mouth, it is an indication that you need to see a specailist. To eliminate those symptoms and be less vulnerable to the above problems you can practice good oral hygiene. Keep a balanced diet. A sufficient amount of vitamins, minerals, and protein is the basis for maintaining the normal protective properties of the skin. Consume the recommended daily amount of vegetables and fruits, lean meat, cottage cheese, milk. Limit the annoying factors. Avoid spicy, pickled, too salty and sweet foods. This will help to avoid skin irritation. Eliminate the chronic diseases. Angular cheilitis can be a symptom of internal diseases. Therefore, a visit to the Burbank dentist in order to diagnose and eliminate possible diseases is a necessary condition for the complete healing of cracks in the corners of the lips. Keep your skin clean. Regular hand washing, avoiding touching the face and keeping the mouth clean is a very important step in disease prevention. Such simple touches help to increase the number of pathogens reaching the skin. Don’t forget to schedule regular dental check-ups to keep your smile, and yourself, healthy. 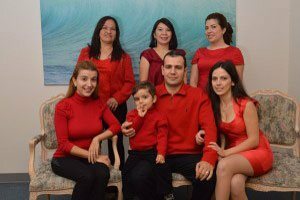 If you have any problems with your oral health, then Burbank dentist Dr. Sahakyan will help. Please call 1-818-578-2332 or contact our dental office today.